Mounts on partitions 1 1/2” to 3” wide without tools. 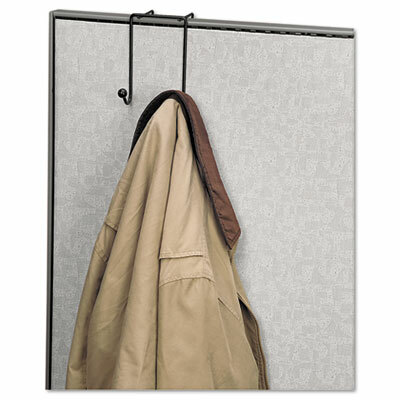 Double hook coat rack holds coats, sweaters, umbrellas and more. Simple wire design mounts easily on partition walls 1 1/2” to 3” wide. 100% recyclable. No tools required. Click here to see more Partition & Panel Accessories! Width: 4" Depth: 5 1/8"